Pastor and the congregation of the United Methodist Church “Revival” in Satka worked very hard and donated their time and finances, especially last two months before the consecration, doing everything what is possible with their hands. The church people were praying and fasting, believing in God’s help. The members of the church were sharing that they were scared to start doing high ceilings and the floor tiles. After all the works we should clean everything before the Great Sunday Service. And finally the day of the consecration has begun – light colored main hall, beautiful curtains, the altar, light colored floor – the atmosphere of the fest and joy being participated in one ministry - preparing the building for Christ and His Church. 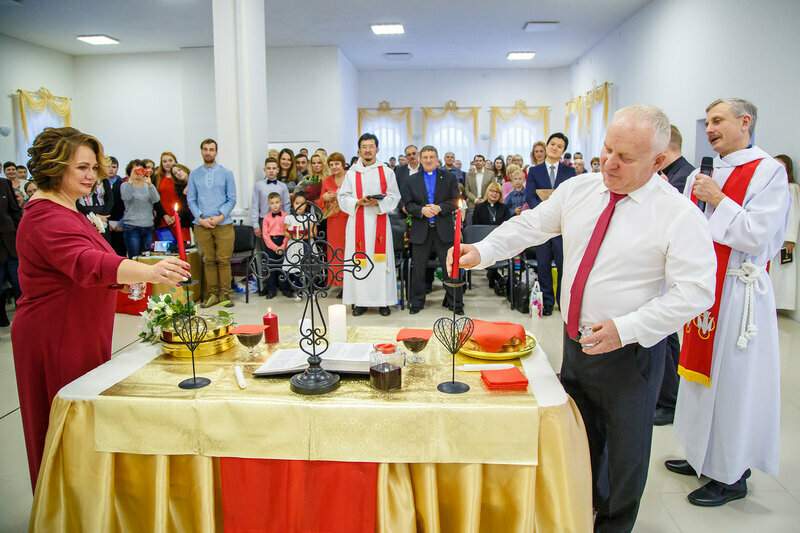 After the liturgy of consecration, the Service hall was a part of the baptism – the happy Kashapovs family was baptizing their son – Paul. A little bit later Vladimir and Lyudmila made a covenant with the Lord in their marriage, became one couple (family) the Korobkovs. There were a lot of guests from United Methodist churches and from other denominations of our region. 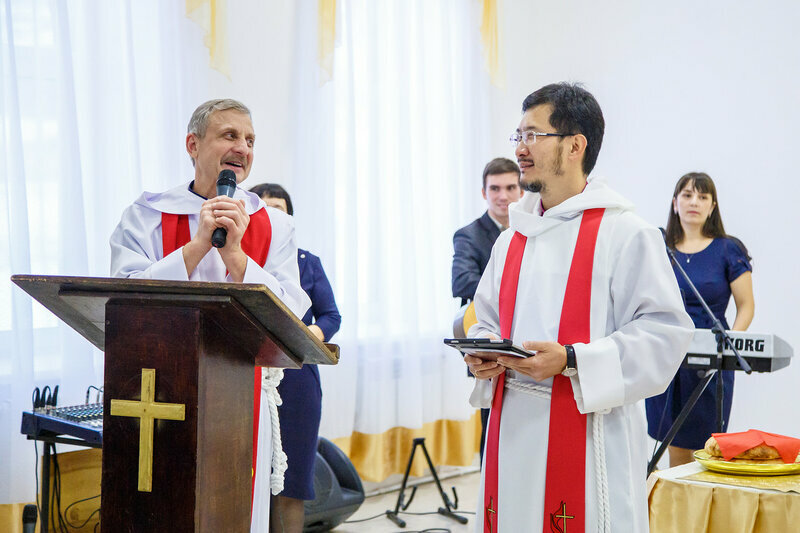 We are very thankful to the “Kvanrim” Moscow church for their support and help, also to bishop Eduard Khegay, superintendent Andrei Kim, President of the Moscow Theological Seminary Sergei Nikolaev, moreover to all regions of UMC – to everyone who supported, donated and prayed for our construction. Let the joy and gratitude from us move to everyone who was the part of that God’s project!